An industrial workbench that will sit well in any in any garage, warehouse or workshop. 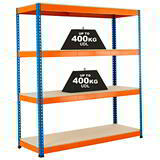 Available with either one shelf to be used as a T-bar workbench or with two to be used as workbench and storage shelf. 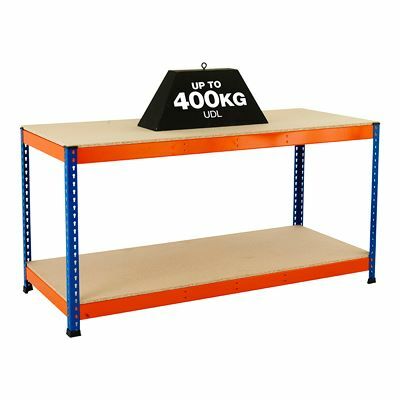 Each shelf is strong enough to hold up to 400kg UDL* and is supported with a central cross beam. Available with either 15mm thick chipboard or easy-wipe melamine shelves. There are no fiddly nuts and bolts to mess around with either - the units have a stud and keyhole design that require only a rubber mallet to put together quickly and easily! 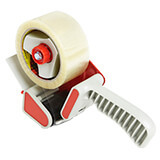 Supplied with protective plastic feet and top caps. Easily assembled - No need for a multitude of tools! Available with either chipboard or easy-wipe melamine shelves, this versatile workbench is easily put together. No nuts, no bolts, just a rubber mallet needed. Multiple benches can be easily made in to a continuous run with the addition of metal tie plates.